At Pangeanic we are a leading provider of fast turnaround, cost-effective and high-quality translation services for Boston. Our clients include large international organizations such as FIFA, Sony, Subaru, as well as financial institutions, the EU government and US government agencies, legal firms, insurance companies, life science and health companies. We are proud to serve the needs of large companies indeed, but also individuals and smaller companies that need quality translation services in Boston. Benefit from a dedicated user dashboard to order translation services in Boston, machine translate files and have them post-edited or order human translation services. Our Client Area will show all expenditure and any type of metrics you require. Our systems are secure because we serve government and corporations handling personal and highly confidential documents. All Pangeanic translators and project managers work inside a closely monitored 24/7 central management system to ensure your personal and sensitive information is safe in our hands: at delivery to us and when we deliver the data to you. Trust is at the heart of what we at Pangeanic Translations do and our translation services for Boston come with 3 full ISO certifications (management, translation and medical devices). Email: Send us an email to boston@pangeanic.com with your needs, contact information and attaching the files for translation. We will get back to you shortly. Perhaps you require fast turnarounds for your documents and not a specialist service. That’s why we have started an innovative Boston translation service that is calculated on hourly fees so you can easy link the economic cost of your translations to the time it takes to complete the work and forecast global language costs. Automation plays a large part in the approach of our Boston translation service: we are used to serve millions of words to our clients all over the world – and tens of thousands of translation jobs since 2000 validate our approach. Yes, we can charge by the hour (not by the traditional per-word method) in some cases and use translation tools that make our translators really efficient and save our clients money and time. A large amount of money that is paid in the translation process for the average translation job is actually invested in project management moving documents and content into and out of workflows – but this does not happen at Pangeanic. We have automated the process of importing and exporting content and managing translation jobs using our custom built software COR and PangeaBox. Our Boston translation service not only saves you time and money, it also allows you to easily retrieve past translations, place new orders, pay online and track progress. Coupled with state-of-the-art neural machine translation engines and a technology approach to language, we are able to offer the most reliable translation service in the market. 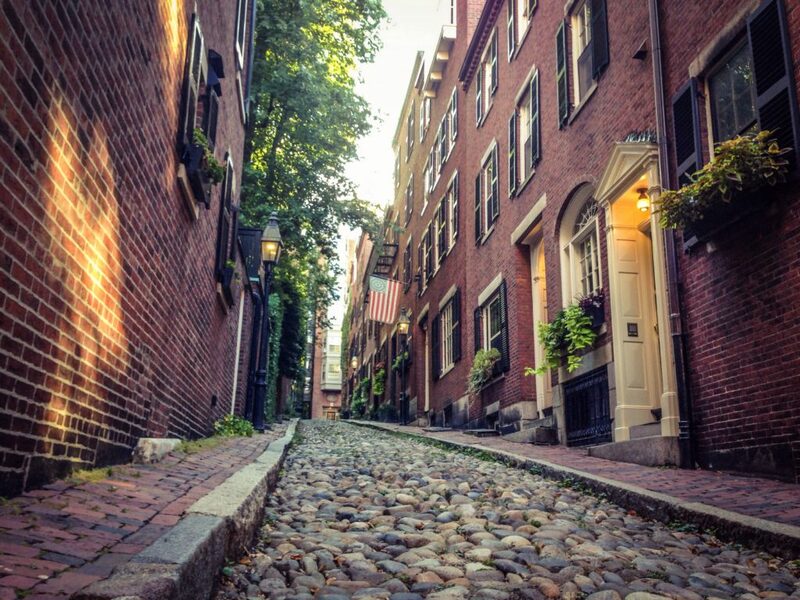 We proudly provide translation services for Boston from the heart of the financial district: Boston is the capital of and largest city in the State of Massachusetts. It is also one of the oldest cities in the United States. The largest city in New England, Boston is regarded as the unofficial “Capital of New England” for its economic and cultural impact on the entire region. It is one of the economic powerhouses of the United States, with an investment ecosystem only second to San Francisco. The Boston metropolitan area is called Greater Boston and it is home to 4’5 million people – the tenth-largest metropolitan area in the US. With many colleges and universities within the city and surrounding area (Harvard, MIT, etc.) Boston is a renown international center of higher education and a center for medicine and health. The city’s economy is also based on research, electronics, engineering, finance, with high-tech biotechnology being a leading sector. Boston has one of the highest costs of living in the United States, which has caused an expected level of gentrification. However, it remains high on world live-ability rankings, ranking 3rd in the US and 37th worldwide. French is one of our most popular requests for our translation services in Boston, closely followed by Spanish, German, Italian, Japanese and Chinese.